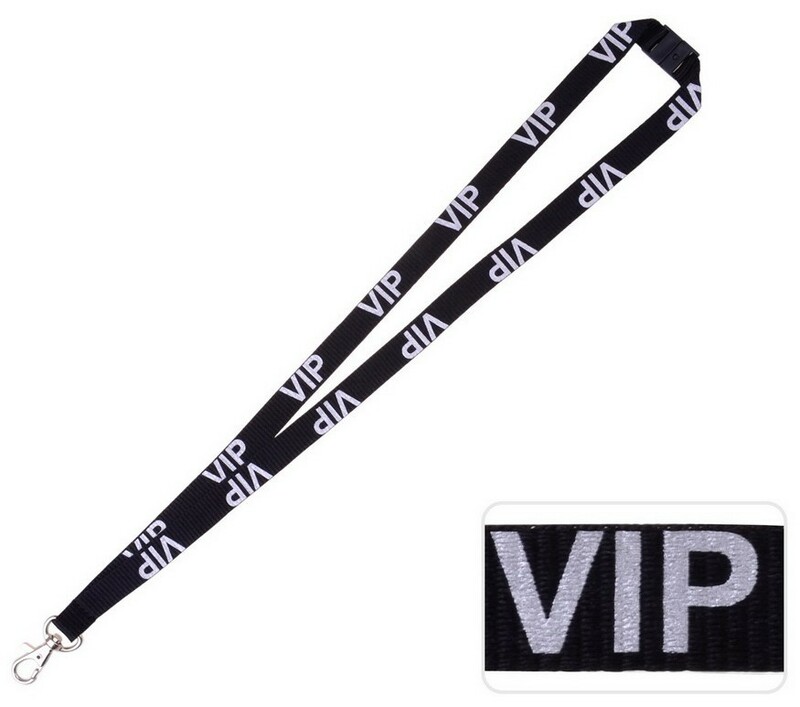 Our VIP Lanyards come pre-customised so that you and your important team members have great lanyards delivered to your event or organisation fast. Each of these Polyester Ribbed lanyards comes pre-printed with "VIP" on them which makes them perfect for identifying key players at any expo, conference, concert or get-together you may be holding. These slick and stylish lanyards come printed by default with "VIP" text on one side of these units. 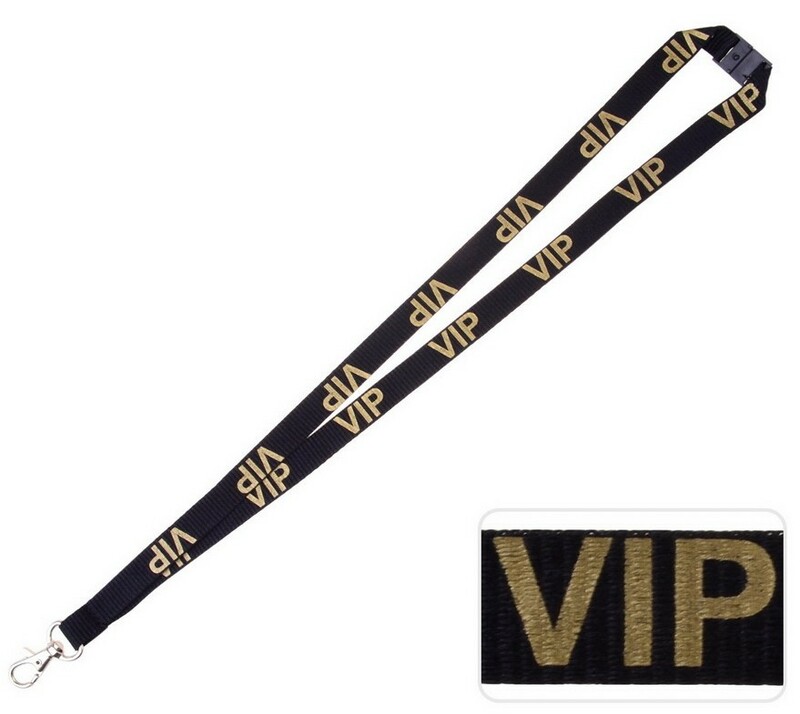 You can choose between a gold print or silver print on black lanyards only. If you would like further customisation, we recommend our promotional printed lanyard options. Each lanyards is 15mm in width with a 90cm length loop. 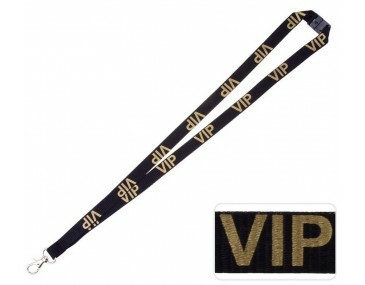 We keep our Pre-Customised VIP Lanyards in stock to ensure fast delivery to Australian locations. The standard turnaround time for these products is 2 weeks from your invoice payment. We deliver Australia wide including NSW, ACT, VIC, QLD, WA, SA, NT and TAS. If you require pre-printed lanyards faster than this, please don't hesitate to contact our sales team for 24-72 hour express options.